In the world of automotive design, carbon fiber has played a major role in reducing vehicle weight. Wheels using carbon fiber in their construction have been around for a while, but until now these wheels were made with carbon-reinforced resin. German automaker Porsche claims to be the first to produce ultra-light wheels made with braided carbon fiber. 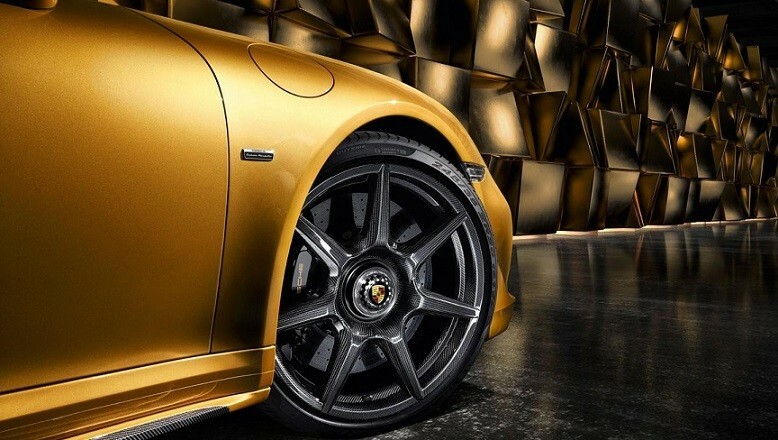 Porsche’s supercar, the 911 Turbo S Exclusive Series, will be the first car in the world to use these advanced carbon fiber wheels. 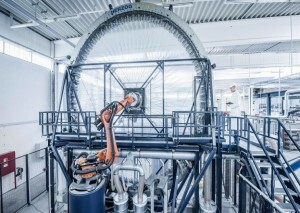 To weave the carbon fibers into an advanced carbon fiber-reinforced polymer rim base, Porsche used a giant radial machine (seen above) with a diameter of approximately 9 meters. 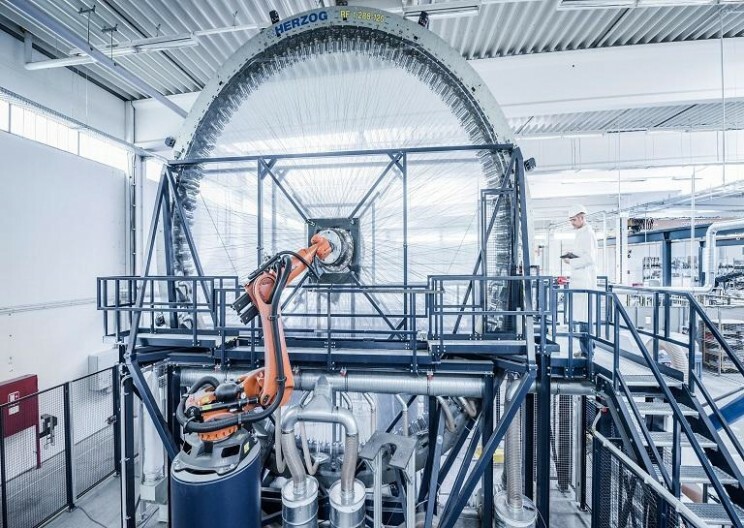 The braiding machine is capable of weaving the carbon fiber into the rim. Carbon fiber braiding resulted in a denser and more compact wheel structure. These braided carbon fiber wheels weigh only19 lbs., which is 20 percent lighter than an aluminum alloy wheel of the same size. The wheels are not only lighter, but they are also 20 percent stronger.